When a hurricane hits, homes and family life are often ripped apart. Belongings such as furniture, family photos and clothing are lost, while personal dignity and access to the daily conveniences of life are gone. The 2017 hurricane season was particularly brutal for people living in the path of destruction left by Hurricanes Harvey, Irma and Maria – mainly those located in Texas, Florida, Puerto Rico and the Caribbean. At our Hialeah/Miami (Florida) tissue mill, employee Juan Montoya saw the devastating impact first hand. 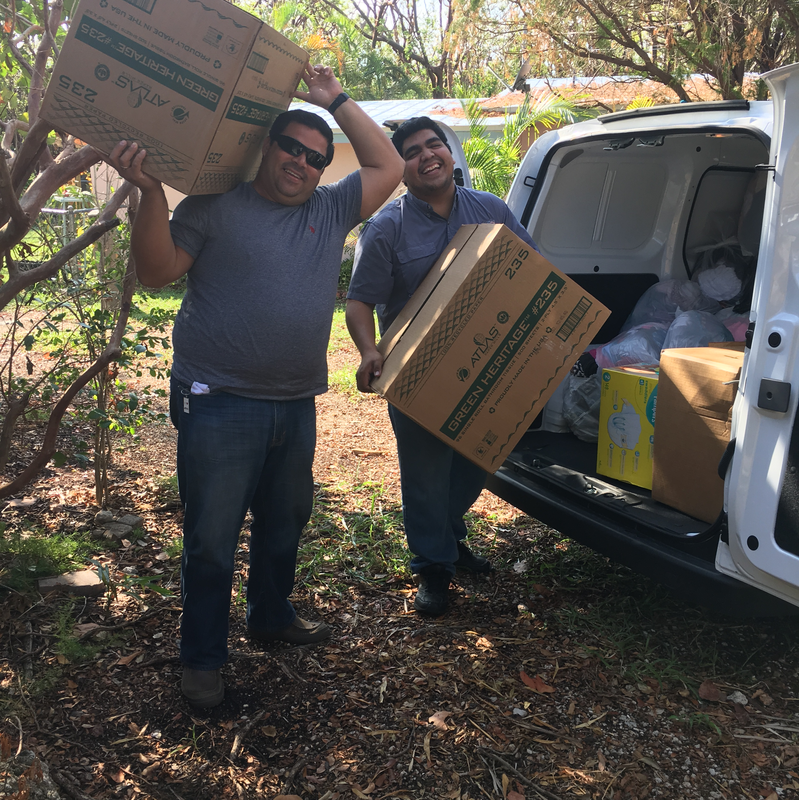 On his days off, Juan worked with members of his church to deliver much needed supplies to people in the Florida Keys battered by Hurricane Irma. Caption: Juan Montaya is the one on the left. 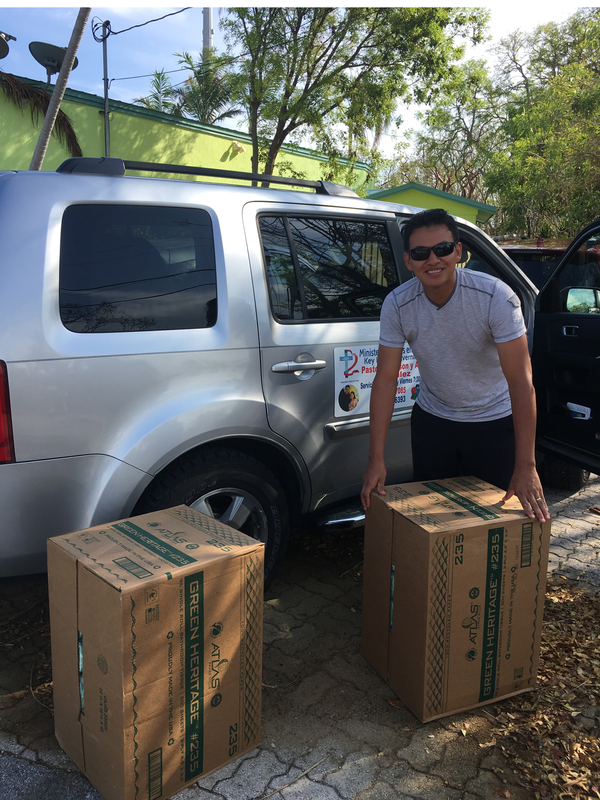 Prior to one of his delivery trips, Juan asked if he could take a few boxes of much-needed tissue products to the Keys. The response was overwhelming. In addition to loading up Juan’s vehicle, Resolute decided to deliver an entire truckload of bath and towel tissue products to those in need. The challenge was finding an organization that could physically receive and distribute such a large volume of tissue products. The Red Cross in Florida agreed to accept the truckload, but because relief efforts were “wrapping up” in Florida, asked if the supplies could be diverted to Puerto Rico. We were pleased to work with local non-profit organizations to ensure supplies reached people in need. The company also donated a large amount of lumber to the rebuilding efforts in both Florida and Texas and contributed other supplies to others impacted by the storms in Puerto Rico.